Otherwise i had to use an expensive Arduino, with more analog inputs. But if you just whant a digital I/O the you can choose mcp23017 or shift registers. 16 Varius Ω Resistors 0.00 Use some resisors that yoy have !!! You can exted this guide in varius ways, i include some samples at the bottom. Here is my sample code. 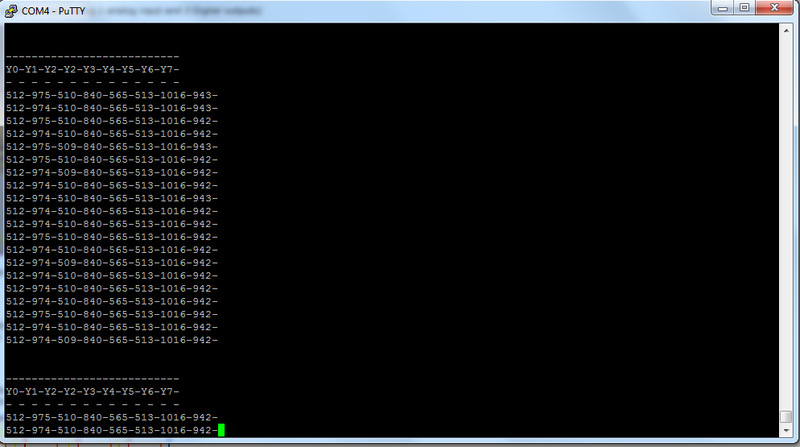 I shift the bits on the multiplexer and read the value, with no delay. I get the right values, if you put in a small delay (2 ms) before reading - it may be bether. If you scale it up using all 8 analog input on this board you get 64 analog input still using only 3 outputs. But you can get more analog inputs - You chose the number !!! If you scale it up using all 8 analog input on this board you get 512 analog input still using only 6 outputs. 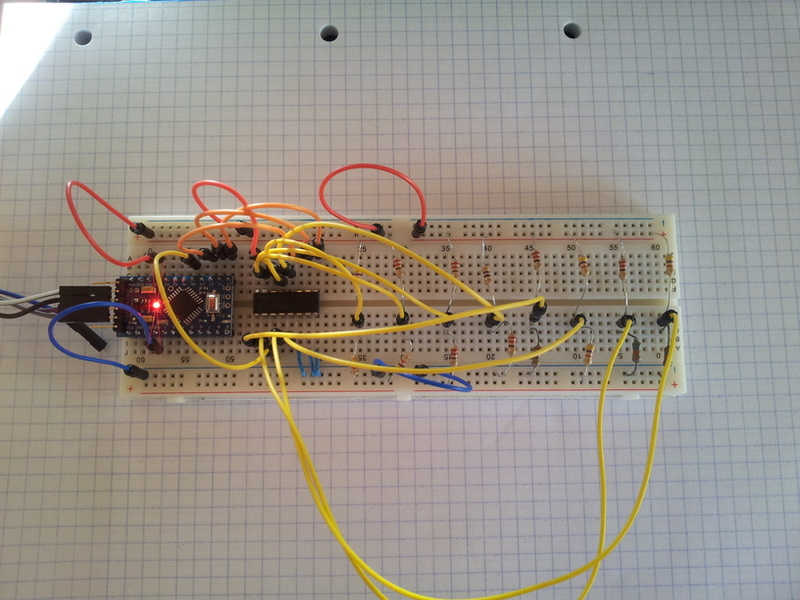 If you whant to save digital output, you can make it with shift registers. And only use 3 digital outputs.